Ask a local in Mandalay if they want to migrate to Yangon and find out yourself about Mandalay and its sentimental and sincere locals. Yangon is too commercialized. Some says " Mandalay on the other hand, still has the essence of Myanmar "
Every bit of Mandalay is very Burmese except the Chinese letter signboards. Look around the Burmese style ancient buildings. Mandalay houses many important monasteries in Myanmar: some famous for disciplne, some for ancient teakwood monasteries. 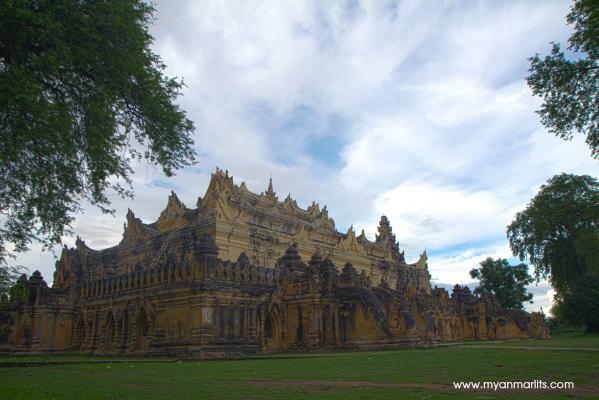 In this tour package, travellers will see the importance of the Buddhism in Myanmar. Walk on the teakwook U Bein Bridge and get to know the last kingdoms of Myanmar from the stories and legends by your local guide. Live Mandalay way for 3 days with LITS by booking this tour. Transfer from Mandaly International Airport to your hotel in Mandalay (without guide). Amarapura, Ava (Inwa) and Sagaing are all former capital of the old kingdom of Myanmar. Start with a transfer to Amarapura (30 mins), the 18th century capital where the countrys largest monastery, Mahagandayone, is located. Continue to the magnificent teak bridge of U Bein which is over 200 years old. It is the longest teak bridge in the world. Cross the Irrawaddy River and head for the picturesque Sagaing Hill, a retreat for Buddhist devotees.The area houses an incredible amount of pagodas and monasteries, allpainted white. It is regarded to as a religious centre in Myanmar and ishome to over 3,000 monks and 100 meditation centres. You will visit pagodas such as Swan Oo Pon Nya Shin and U Min Thone Sae. Lunch at a local restaurant. 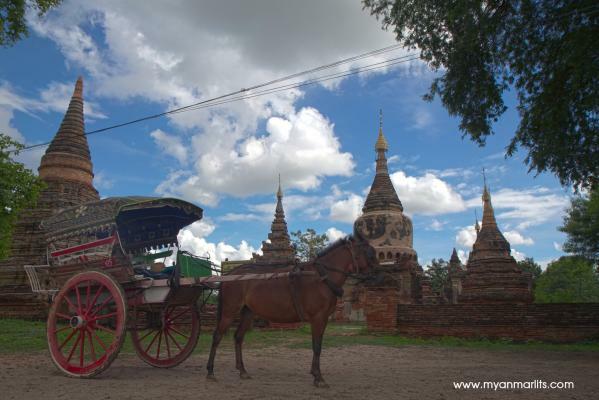 End the day with a visit to another ancient capital, Ava, which was the capital of Myanmar before Amarapura. After a short boat trip, board a horse carriage and ride to the wooden Bagaya Monastery and Nanmyint Watch Tower also known as the leaning tower of Ava. Return to Mandalay. In the morning visit Mahamuni Temple - one of the most famous temples in Myanmar. Built in 1874 by King Bodawpaya. This pagoda is home to one of the country’s most revered Buddha imageswhich, over the years, have been covered with gold leaf giving it analmost ‘lumpy’ texture. Mandalay is well known for its skilled craftsmenand as you tour traditional workshops, you will learn more about the production of wood or stone carvings,and gold-leaf where the techniques remained unchanged from those usedcenturies ago. Lunch at famound noodle (Mee Shay) restaurant. Continue to Shwenandaw Monastery - originally part of the royal palace complex of King Mindon and made entirely of teak wood. After lunch in a local restaurant, continue to Autmashi Monatery also built in 1857 by King Mindon. Next head to the Kuthodaw Temple, right at the foot of Mandalay Hill. Kuthodaw is world renowned for having the world's largest book - a collection of 729 stone slabs documenting the teaching of Buddha. Next drive right up Mandalay Hill to visit the serene standing Buddha at Shweyattaw temple which is said to have pointed the way to the former capital. Enjoy the view from the top of the hill and continue back to town. RemarkPrice quoted are based on twin-sharing. Additional single supplement is chargeable for any room with single occupancy. A bottle of mineral water and freshing towelfor each person per day.